If you want to see a celebrity while you're in Hollywood, don't try to do it by walking down Hollywood Boulevard. Don't go on a movie star homes tour, either. Going to the latest "in" eatery may not work, either. A-listers don't take the kids to the local pizza joint for a birthday party; instead, they find a place with gates and security guards and hire a caterer. You're not likely to see a hot young starlet in the front yard weeding the tulips, either. Yelp maintains a page just celebrity sightings, but by the time you find it there, it's over. So what can you do? 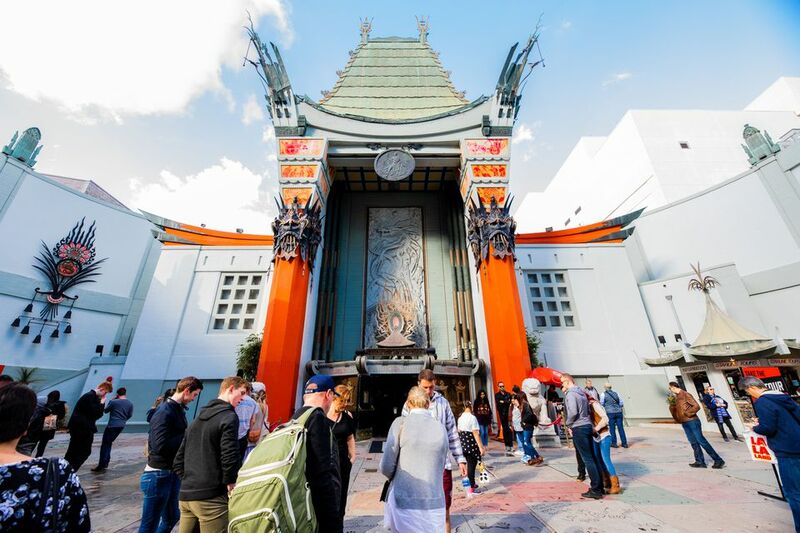 You don't have to hang around the door of the hottest nightclubs or try to find where the paparazzi hang out just hoping to see a movie star while you're in Hollywood and Los Angeles. Instead, try any of these things that guarantee you'll see a movie star - or two - or more. Even better? Most of them are free. The honoree is required to show up when their pink-and-gray star is unveiled on Hollywood Boulevard, an event that happens about once a month. The Walk of Fame guide has all the details. Another event that the honoree has to show up at - otherwise it can't happen at all - is a handprint/footprint ceremony at the Chinese Theater. The forecourt is small, and it fills up with the media and celebrity attendees, but you can use an online guide and tips to find out more - including how to make the best of it. The Oscars aren't entirely for the Hollywood in-crowd. Anyone can get into a lottery for seats in the bleachers at the red carpet, where you're bound to see more stars than you'll be able to count and photograph them, too. Registration is usually open for about a week in mid-September for the awards show the following February. Sign up online - well in advance. The stars also have to be there when their show is being filmed. If it has a studio audience, you'll get a chance not only to see them but also watch them work — and you might get an insight into why those studio audiences sometimes laugh when things don't seem so funny. Even better? Tickets are always free. Find out how you can be in a Los Angeles studio audience. It may not be the year's most lavish parade - in LA, the honors for that go to the Rose Parade - but it's undoubtedly the most star-studded. Get a good spot, and you'll be seeing more stars on the street than in the sky. Check this year's schedule to plan ahead. Unless you're in the industry, you're unlikely to get a ticket to watch a movie premiere, but you can hang around outside and watch the stars arrive. Seeing Stars has a list of upcoming premieres, but it's harder to figure out when and where they'll happen far enough in advance to plan your visit just for them. You may be better off to choose your vacation dates, then check a week ahead to see what premieres might be happening. Online Vacations keeps a list of Los Angeles locations where things are being filmed. Although you'll spend a lot of time standing around waiting for something to happen and for the show's star to show up, it's an exciting look into the film-making process. If you'd actually like to meet some stars and get their autographs, the Hollywood Show might be just the place for you. You're unlikely to find today's A-listers there, but this long-running autograph show draws as many as 75 celebrities to a single event, many of them from older television shows. The LA Times calls it: "retro nirvana for TV Land, VH1, and Turner Classic Movies fans and celebrity signature collectors." Past attendees have included Erin Moran of Happy Days, original Batman Adam West, Ryan and Tatum O'Neal, the Osmond Brothers and Rita Moreno (although not all at the same event). You can pre-order an autograph on their website and specify how you want it personalized - and you can even send your own items to be signed if you wish. At the show, you can have your photograph taken with your favorite star. Of course, there's a cost of all this. You can get an admission ticket for one day or two, and you'll pay extra for autographs and photos. Get more info on their website. At the Paley Center in Beverly Hills, the annual Palyefest features discussions with the producers and cast members of popular shows. You can not only hear them talk but also ask questions. Prices are reasonable, but it's best to get tickets online in advance. For in-demand events, Paley Center members get first shot at the tickets, so a membership may help. Many top-named film stars work on the stage too, and you'll often find them performing, especially at the Ahmanson Theatre, where stars like Jane Fonda, Alan Alda, John Lithgow, and others have played over the years. You can find out what's playing at the Ahmanson website and buy tickets direct from them online. If you end up seated in the balcony and you want to get a closer look at the stars on stage, take opera glasses or a small pair of binoculars for a closer look. With a free membership at Goldstar, you may get weekday theater seats at a substantial discount. Find out what Goldstar is and how to use it.